I’ve been blogging for six and a half years and have posted 210 blogs and not one of them has focused on air transport. For decades environmentalists have opposed airport expansion, and a few committed individuals vowed never to fly again. However the numbers of people flying continues to rise. Globally many people can afford to travel who previously could not, and many businesses require international travel. International air transport is not about to end any time soon. Air travel represents one of the fastest growing sources of carbon emissions. Current aircraft technology is highly polluting. Slight gains in efficiency are more than offset by increased numbers of people flying, so pollution from aircraft continues to get worse. Many MPs, led by Grant Shapps, are lobbying for an immediate decision to build a third runway at Heathrow. Other airports want to expand. However with existing technology this will only make pollution worse. Meanwhile this week two eccentric round the world flights have taken place. The Russian balloonist Fyodor Konyukhov has just knocked two days off the fastest round the world balloon record with a hybrid helium and hot air balloon. Solar Impulse has just landed in Abu Dhabi, so completing the first round the world flight using just photovoltaic power from the sun. The question is do these two achievements have anything to contribute to the mainstream development of aviation? I think they have, given the right market encouragement. So taxing polluting aircraft fuels would help, not building new infrastructure for this current polluting technology and putting more money into less polluting alternatives would all be steps in the right direction. Bertrand Piccard, one of the two pilots and entrepreneurs behind the Solar Impulse has said “I make the bet that in 10 years we will have electric aeroplanes flying with 50 passengers for short to medium-haul flights”. That for me is one of the most encouraging statements about the future of air travel I’ve ever heard. Might we also see lighter than air, zeppelin type craft being developed which may include helium for lift and photovoltaic cells for power? Such aircraft would be virtually free of carbon emissions, particulates or noise pollution, and might be able to land on very much smaller inner city airports. Perhaps air travel may yet become ecologically sustainable, but it has a long way to go and needs the support of governments to achieve this important objective. Today thanks go to Bertrand Piccard and Andre Borschberg, and to Fyodor Konyukhov, for helping us think differently about the possibilities of flight. This entry was posted in Climate Change, Global, Transport on 26 July 2016 by Richard. Theresa May, the new British prime minister, voted Remain but has to deal with the chaos unleashed by Brexit. She is regarded as a ‘safe pair of hands’, so compared with some of the zealots and ego-maniacs we might have ended up with that is to be welcomed. Her first speech from the steps of Downing Street was impressive for its egalitarian tone. However she seems to be following outdated policies which are liable to lead to the fragmentation of the United Kingdom, which is one of the key outcomes she wants to avoid. 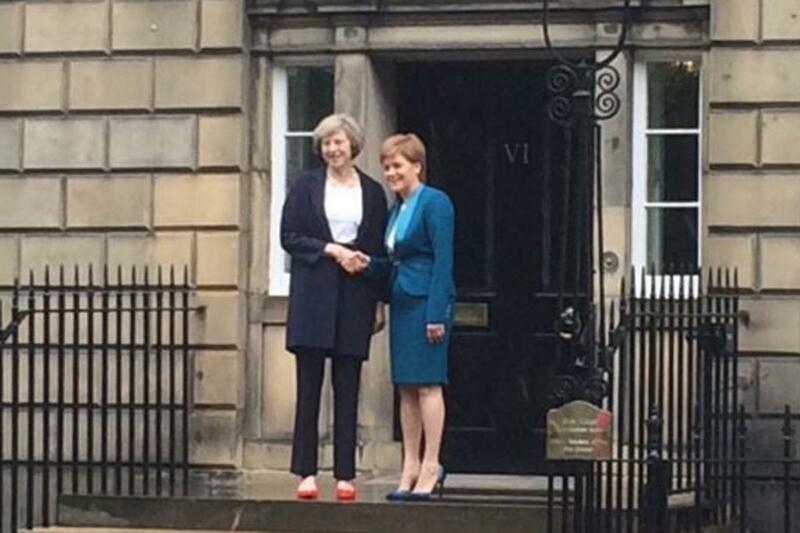 One of her first acts as prime minister was to go to Edinburgh to have talks with the passionately pro-European SNP leader, Nicola Sturgeon. Europe will remain a difficult issue in UK politics for many years, or decades, to come. Then last night the British Parliament voted by 472 to 117 to renew the Trident nuclear weapons system, at an estimated cost of £31 billion. The Tories supported renewal, Labour was split and the Scottish Nationalist firmly against. The SNP want the Faslane base on the Clyde closed. It is yet another issue where Scotland and the English dominated UK government are on divergent paths. It seems to me a lot of money to spend on a weapons system designed for a World that no longer exists, and I wonder where in England, Wales or Northern Ireland would want to house these weapons, so making themselves an obvious first target in any war. This new cabinet seems committed to building Hinkley C nuclear power station at a cost that seems to be projected at being between £24 and £37 billion. Again, an outdated and over priced investment, given the falling costs and speed of innovation in the wind, solar, energy storage and energy transmission technologies. Meanwhile Scotland has a policy of building no new nuclear power stations. The Scottish Parliament has voted for an outright ban on fracking, while the UK Parliament is pushing forward with this most polluting of energy sources. On social and welfare policies, health, education and just about any policy one can think of Scotland is on a divergent path from the UK government. The United Kingdom is looking increasingly disunited. On each of these policy areas the Scottish policies seem preferable to those of the UK. Any chance of my hometown of Hereford being ruled from Scotland, or Wales come to that, either would be preferable to the current government of this still just about ‘United Kingdom’, and their portfolio of poor policies. This entry was posted in Politics on 19 July 2016 by Richard. Over the decades following the Second World War we Europeans built the European Union as a practical project to replace conflict with cooperation. Stewart Taggart and the Grenatec organisation are proposing something similar for the East Asian region, linking all the countries from China and Japan in the north through all of South East Asia down to Australia. The idea would be to link the whole region together with a network of shared infrastructure, especially focusing on gas pipelines, electricity grids and fibre optic cables. This would help create a transformation from territorial disputes and conflict to trade negotiations and cooperation, collaboratively building shared infrastructure suitable for the twenty-first century. The renewable energy potential of this vast region is more than enough to supply its two billion inhabitants, and there would be multiple benefits from greater integration, as Stewart Taggart explains in this video. My blog last week about greater energy integration for countries bordering the North Sea also stressed similar benefits. Gradually an internet of energy is becoming a global reality. In the chaos of post Brexit Britain such cooperative technological opportunities are likely to fall on deaf ears. 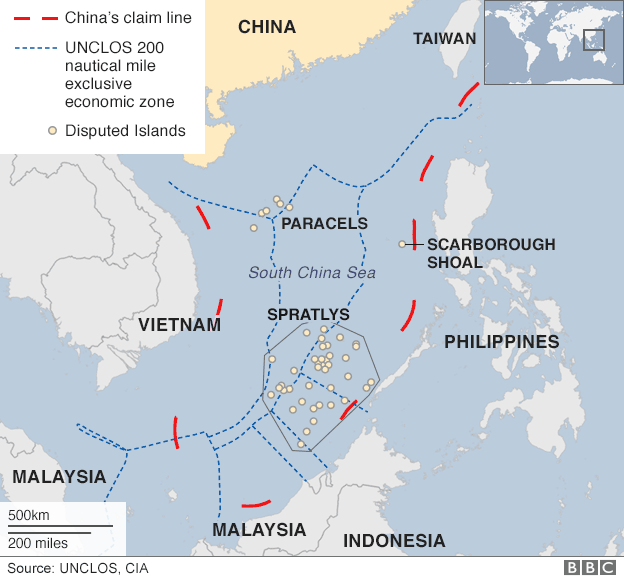 Eventually we, like the Chinese, will have to learn that international cooperation is preferable to endless conflict. In this the centenary year of the Somme it is a particularly poignant lesson to learn. This entry was posted in Energy, Global, Politics on 13 July 2016 by Richard. A couple of weeks ago, in a blog about wind power, I said “Costs continue to fall and are projected to continue falling.” This week the contract to build the first two stages of the massive Borssele wind farm, situated 22 kilometres off the coast of southern Holland, has just been signed. 38 companies and consortiums put in bids and Dong won the bidding process with a bid of 72.70 Euros per MWh. This price is considerably lower than any previous offshore wind farm. This low price has in part been achieved by the Dutch grid operator Tennet paying for the grid connection, but even if these costs are included it brings the cost to just 87 Euros per MWh. 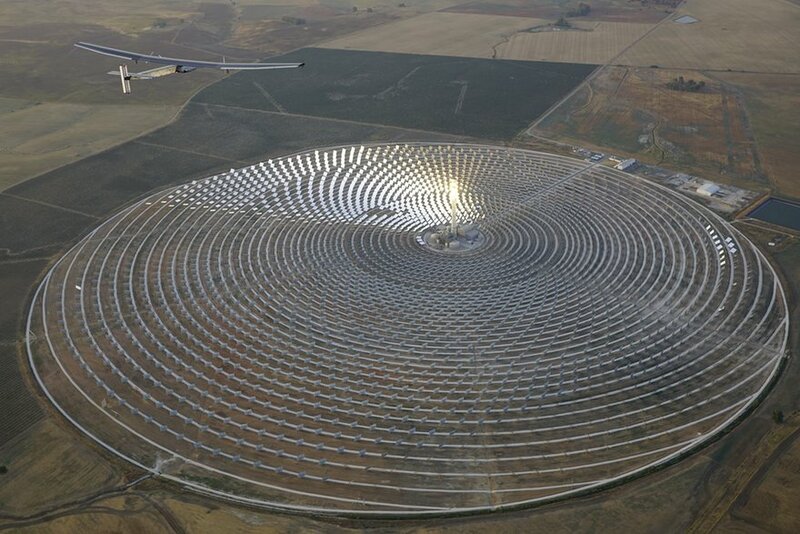 This is very competitive with most forms of electricity generation. We will see a lot more wind farms in the North Sea over the coming decade or so, as costs continue to fall. 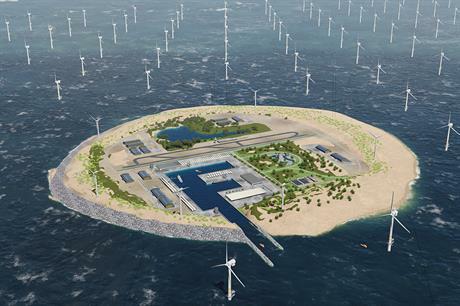 The Dutch grid operator Tennet is proposing that Germany, Denmark, the Netherlands, Norway and the UK cooperate to build an artificial island on the Dogger Bank in the North Sea to act as a hub and spoke centre for offshore wind. There would be cost savings in terms of integrating the various countries electricity grids, so power generated in any one country could be exported to any other country, from wherever supply was greatest to wherever demand was greatest. This seems a great idea to me and could be further improved with the addition of a massive tidal lagoon and pumped storage hydro system being incorporated into this artificial island. The Danish architects Gottlieb Paludan proposed such a system back in 2009. I thought it was brilliant at the time and raved about it in a few talks, but didn’t blog about it, and none of their proposed ‘Green Power Islands’ were actually built, so far as I can tell. Now, with the falling costs of offshore wind, the time may be right to merge these ideas of Gottlieb Paludan and Tennet and build something really useful. I can see many possible benefits to such a system, economically, ecologically and politically. This is a longer term project, and hopefully by the time it is built the Swansea Bay Tidal Lagoon will be up and running and demonstrating the benefits of tidal power. For the Dogger Bank idea the bunds (large sea walls) could be raised to include a pumped storage element, meaning it would act as an energy transmission hub, energy generation facility and as an energy storage system. Pretty neat! Will anyone ever build it? Post Brexit Britain feels like the wrong place to be advocating collaboration. It may get built by others, or we might yet see the advantages of such collaborative projects. This entry was posted in Energy on 7 July 2016 by Richard.